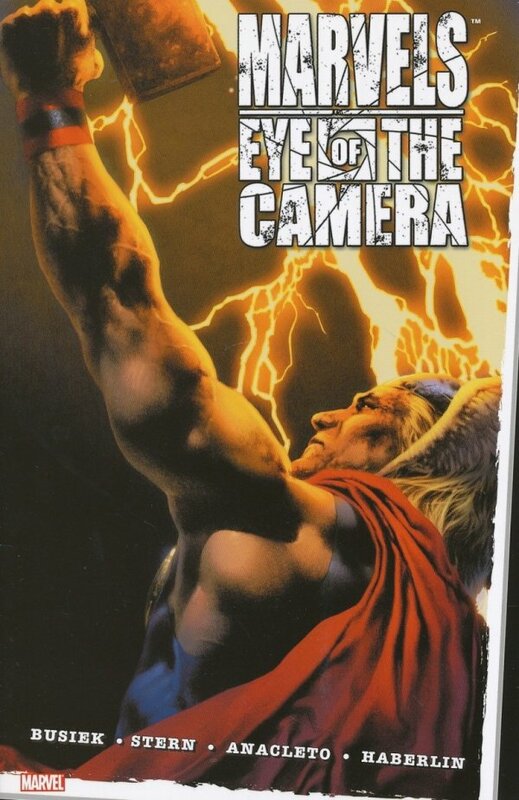 Following the trials of photographer Phil Sheldon as he documents the true life exploits of the Marvel Universe's heroes and villains, Marvels: Eye of the Camera is the sequel to the sensational Kurt Busiek/Alex Ross series MARVELS. 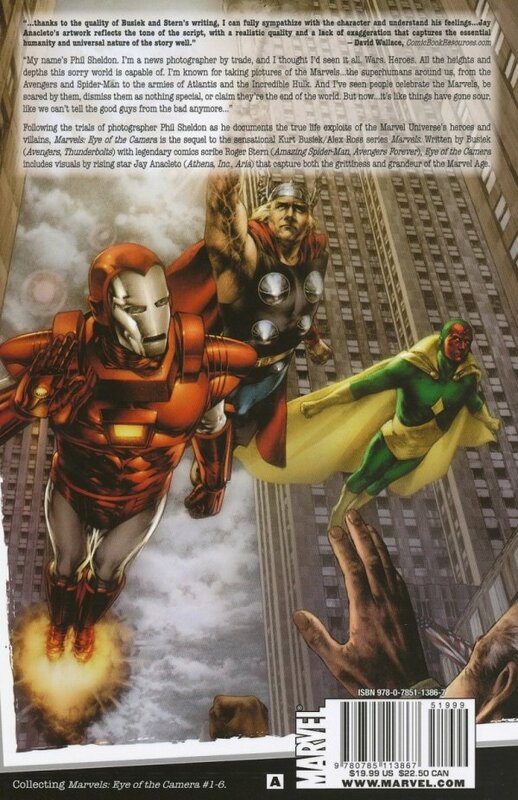 Written by Busiek (Avengers, Thunderbolts) with legendary comics scribe Roger Stern (Amazing Spider-Man, Avengers Forever), Eye of the Camera includes visuals by rising star Jay Anacleto (Athena, Inc., Aria) that capture both the grittiness and grandeur of the Marvel Age. Collecting MARVELS: EYE OF THE CAMERA #1-6.